The Palmetto57 3-day Return Program allows you to drive the Vehicle for a period of three (3) Calendar Days or three hundred (300) miles (“Return Period”). However, in order to participate in the Program, you must a) sign a Return Policy. The Dealer has agreed to allow You to return the Vehicle, so long as you comply with the terms of the 3-day Return Program. You may return the Vehicle to Dealer at any time prior to the occurrence of the earlier of the following: The expiration of three (3) calendar days from the date of this Addendum; or Three hundred (300) miles being put on the Odometer. Please Contact dealer for full disclosure on 3-day Return Policy. 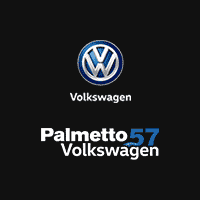 Palmetto57 Volkswagen has won the Wolfsburg Crest Award 2 years in a row. We were given this award for the Top 10 Selling Volume Dealers in the Country for 2013 and 2014. The members will enter the record books as representing the best of the best, earning top ranks in Sales and Dealer Sales Index. Palmetto57 Volkswagen won the 2014 Customer First Club Award. The members of this exclusive club have been put there by their customers’ surveys reflecting outstanding customer services in both sales and service. Palmetto57 Volkswagen is THE ONLY DEALERSHIP IN FLORIDA to win both The Wolfsburg Crest Award and Customer First Club Award 2014. Palmetto57 Volkswagen is the only dealer in South Florida with EXTENDED SERVICE HOURS to better serve our customers.